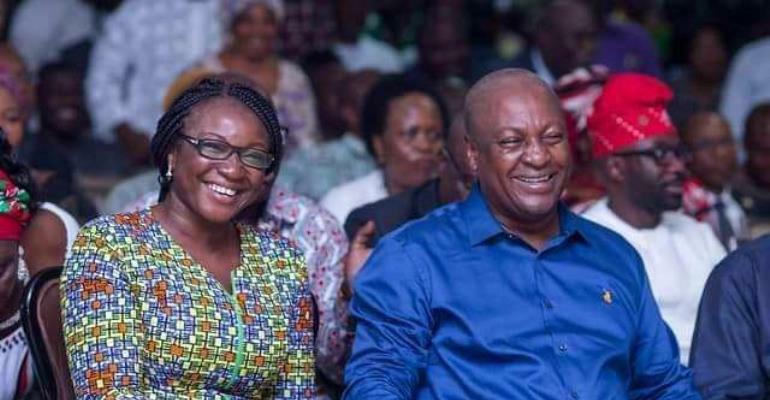 Aide to former President John Mahama, has allayed fears of celebrities who are sympathetic to the umbrella party the National Democratic Congress (NDC). He says they will be factored in the party’s campaign for the 2020 general elections. Mrs. Joyce Bawa Mogtari says contrary to strong views expressed by former Deputy General Secretary of the party, Koku Anyidoho, to the effect that never again will the NDC leave it campaign in the hands of people who are not known to the party. She posited that the NDC is a party that recognizes the contribution of everyone including those in the arts industry. The former Mahama Campaign Team Spokesperson in the 2016 election, said the NDC sees the arts as a very integral part of the country’s development agenda considering the important roles it plays. In this regard, she assured the NDC has room for all kinds of people who identify themselves with the party, and so will not leave anyone out simply because something wasn't done right in the past. The lawyer and former Deputy Minister of Transport, said even though she does not know the basis upon which her colleague, Koku Anyidoho, made his comments, she is of the opinion that NDC is an all-embracing party irrespective of one's profession or status. According to him, about one million voters did not vote for the NDC because of the strategies and personalities the party employed for its campaigns. The former Deputy General Secretary who was speaking to some journalists on the sidelines of a programme by Cadres of the party stressed that the party shall not use the same tactics in the 2020 elections. “One million of our voters did not vote for us in 2016. They do not have any understanding of the party’s philosophy and the history. Never again should we put our campaign in the hands of strangers. Never again should we hand over the NDC’s campaign to celebrities,” he said. Since his claim last week many including fanatics of the NDC have wondered the basis upon which the failed General Secretary aspirant made his claim without backing it with facts. Even though none of the celebrity who publicly supported the NDC has commented on the issue but Koku’s comment has become topical in the entertainment circles. Speaking on Metro TV’s Good Morning Ghana programme, Mrs. Mogtari, said the creative industry has produced very important personalities who have rose to become ministers and deputy ministers and have played their roles with distinction. She cited the likes of comic actor and former Member of Parliament (MP) for Ablekuma South, Fritz Baffour, who at a point became the Minister of Information under the late Prof John Mills administration. She posited that actress Dzifa Gomashie, who served as a Deputy Minister of Tourism, Culture and Creative Arts and actress Grace Omaboe aka Maame Dokono, aspired to become MPs. “It is always important to a good balance and fair balance and of course I think when it comes to messaging we will have messages for everybody for the theatre, for the acts, for the music industry and what have you. They serve as a key components of our country. "They are very big exporters of our tourist attraction, they also present our culture to the people who don’t live here, they act all these movies they write many books, they tell so many stories, they are actually very critical partners of stakeholder in our development journey. "For that matter, I think in all political parties, you will find them but I am sure …..yes everybody is entitled to their opinion.Maybe there are criticisms of how some were deployed as some point or the other but remember that we have many key activists. "So I think there is room for everybody irrespective of what aspect of the politics they want to play and I think that in as much as we may have lawyers, we have teachers, and what have you, progressives normally relate better. So I think that he may have some concerns or made some observations because of course in his capacity as a Deputy General Secretary, he may have been previewedto certain things we may have not known, " she emphasised. She hoped that as 2020 elections approaches, party members and supporters will unite for the task ahead to recapture power from the struggling NPP.